A deposit, as indicated in your quote, along with a completed registration form is required for all new reservations with Cultured Vacations. All final payment dates are clearly noted on the invoice and/or website of the Cultured Vacation you have selected as well as listed in your monthly statements. All late payments will be assessed a late fee of $25. If you are paying late, you must send your request by email and give us the date you will make your late payment. If you fail to make your final payment by the final payment date, your reservation will automatically cancel and all previous payments will be forfeited. We accept credit card payment only. Payments are received via an online credit card authorization form. Once completed, that form will stay on file for the duration of the trip. All requests to make changes to a reservation must be made in writing and emailed to jenn@culturedvacations.com. There is a $50/person fee to research any changes to your reservation after booking. Examples of a change request that will incur a change fee include, but not limited to, the following requests: 1. Room type; 2. Hotel change; 3. Flight change; 4. Cabin change on airline (i.e moving from coach to another class of service); 5. Changing dates of travel; 6. Adding passengers to reservations. ; 7. Removing passengers from reservations. 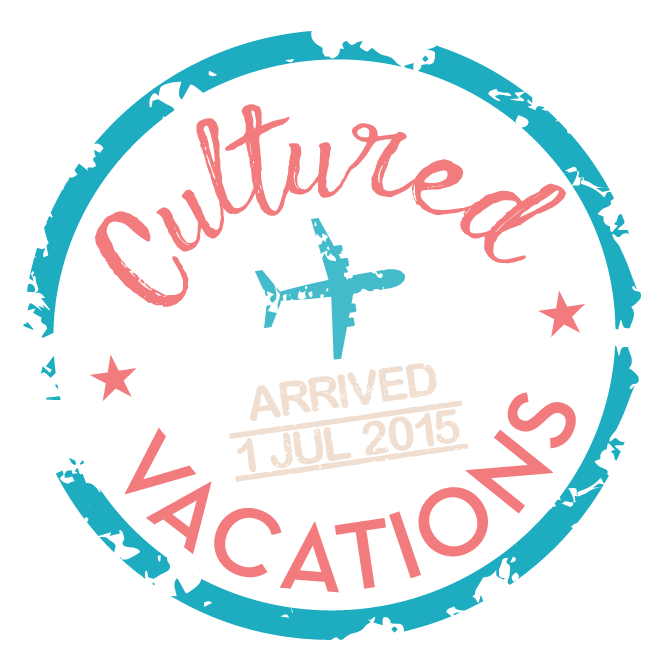 All cancellations must be made in writing and emailed to jenn@culturedvacations.com. There is a $100/person fee to initiate any cancellations – with or without insurance. Unfortunately, without the purchase of trip insurance, all payments are non-refundable and non-transferrable. The best way to guard yourselves against any unforeseen circumstances is by purchasing trip insurance. If multiple people are in a reservation and one person needs to cancel, the trip will need to be rebooked and will be requoted at the current rate. This may mean an increase in the rate for those that are remaining on the reservation. It is the responsibility of the travelers within the same reservation to ensure payments are being made. Any disability requiring special attention must be reported to Cultured Vacations at the time the reservation is made. Cultured Vacations will make reasonable attempts to accommodate the special needs of travelers, but is not responsible in the event it is unable to do so nor is it responsible for any denial of services by carriers, hotels, restaurants, or other independent suppliers. All travelers’ passports must be valid for at least 6 months beyond the conclusion of your trip. You should apply and obtain a passport far in advance for any group travel outside the United States. Please be sure your passport arrives at least 3 months prior to travel if applying for a new one or getting a renewal. Cultured Vacations is not responsible for time changes made by the airlines and railways. Flight time, seat assignments are solely at the discretion of the airlines. Hotel room location is also the sole discretion of the hotel. Requests for bedding type, floor can be made but are not guaranteed. Baggage fees of the airlines are not included in our prices. If you decide to check baggage you must pay this fee directly to the airline. The carriers, accommodations and other suppliers providing services are independent contractors and are not agents, employees of Cultured Vacations. Cultured Vacations assumes no responsibility and will not be held liable for any personal injury, property damage, or other loss, accident, delay, inconvenience, or irregularity by reason of (1) any wrongful or negligent acts or omissions on the part of its suppliers, (2) any wrongful, negligent, or unauthorized acts or omissions on the part of any employee of these suppliers, (3) any defect in or failure of any vehicle, equipment or instrumentality owned, operated, or used by any of these suppliers, or (4) any wrongful or negligent acts or omissions on the part of any other party not under the control, direct or otherwise, of Cultured Vacations, or (5) acts of God. The deposit of your incoming trip is an affirmation that you are agreeing to Cultured Vacations’ Terms and Conditions.